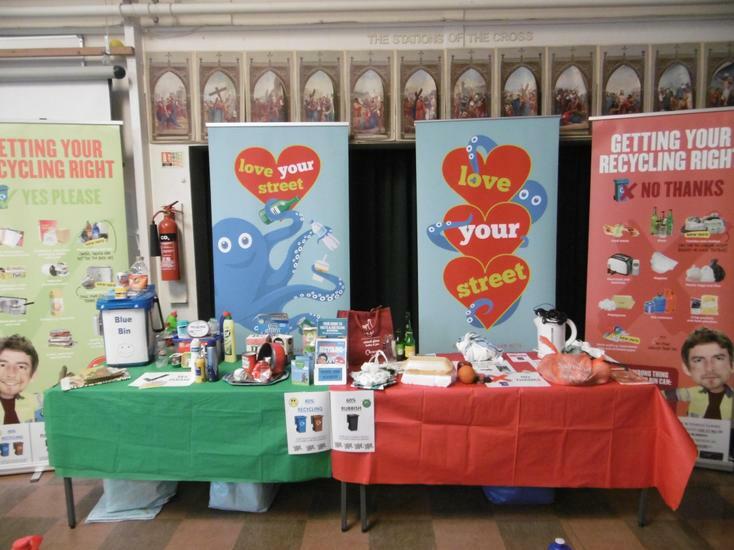 St Pancras' work during 'green week' mentioned in the Ipswich Star in an article on reducing waste at Christmas time. 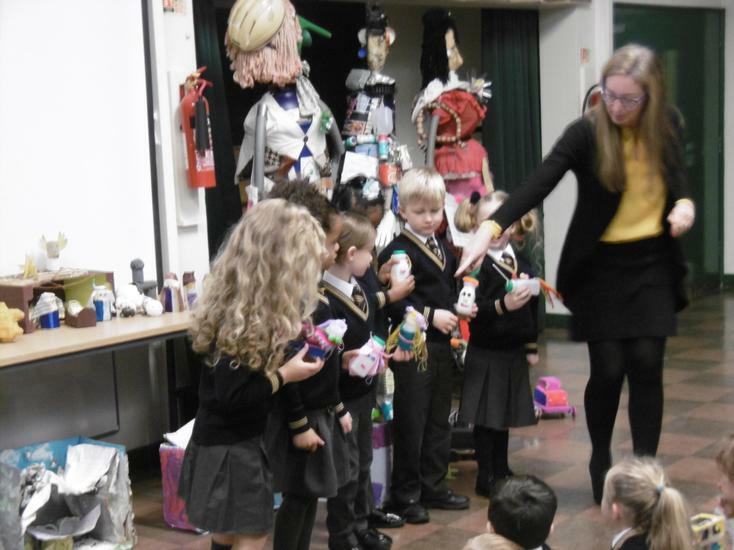 We have some very important visitors in school; Reggie Reduce, Rosie Reuse and Robin Recycle. 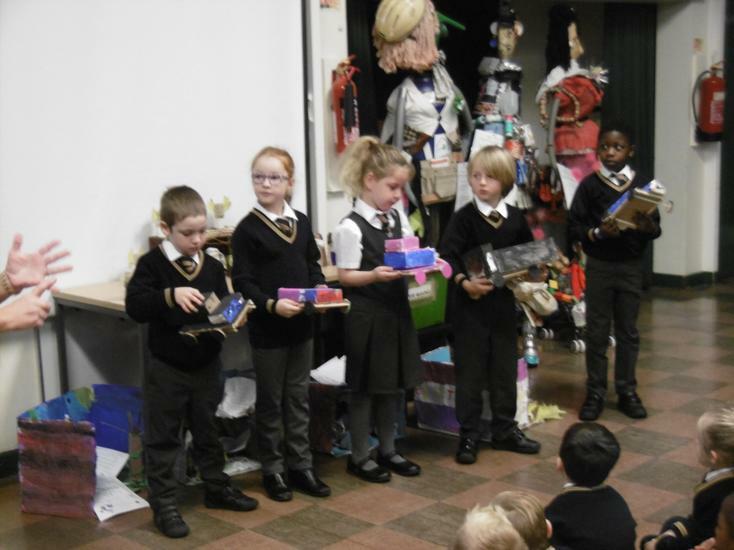 They are all made from reused and recycled materials. 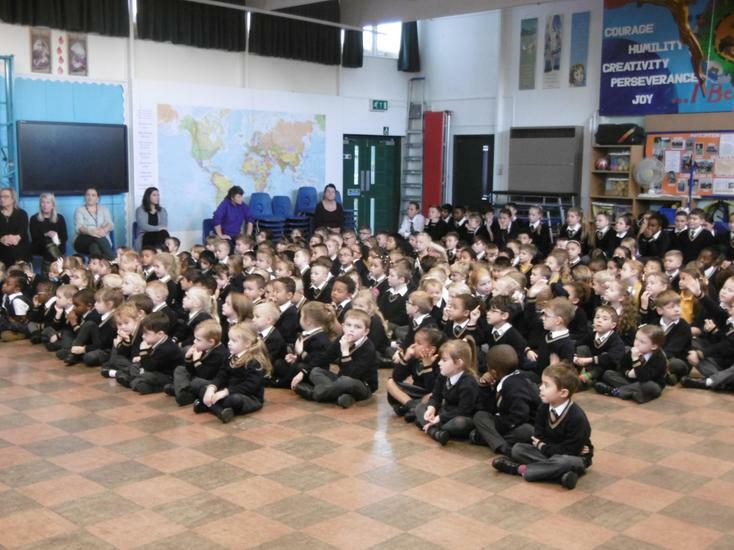 What can you see? 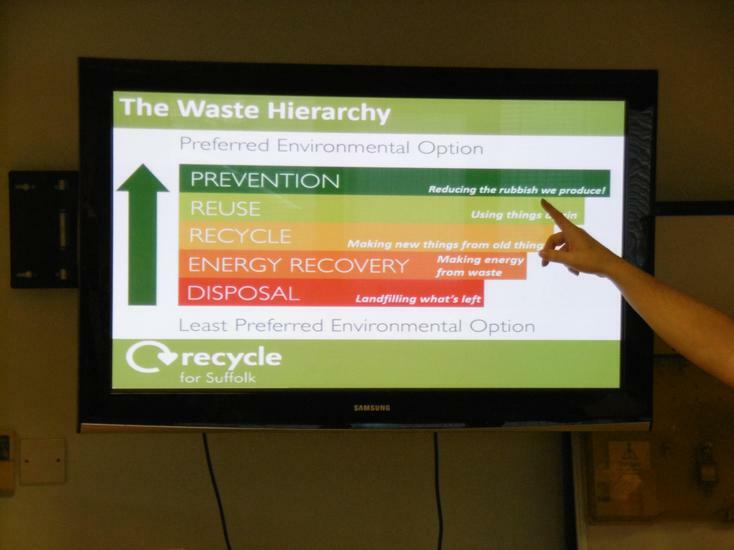 Why do we need to recycle? 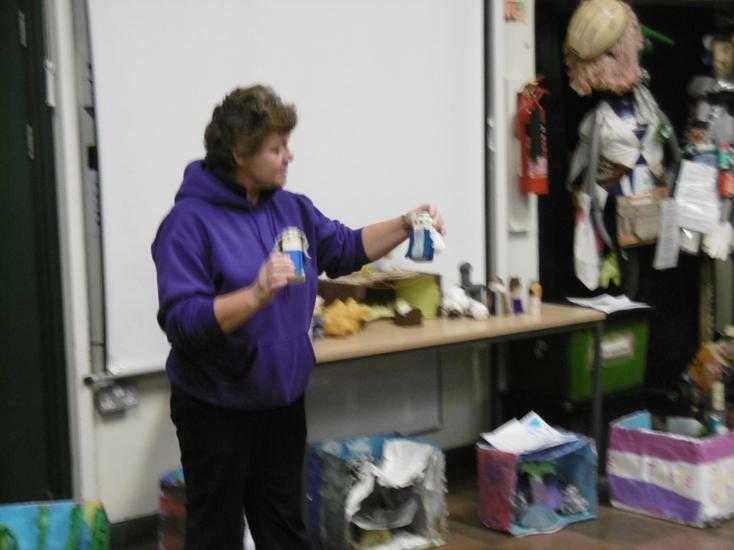 Take a look below to see if you were correct and for all the things Reggie, Rosie and Robin are made from. 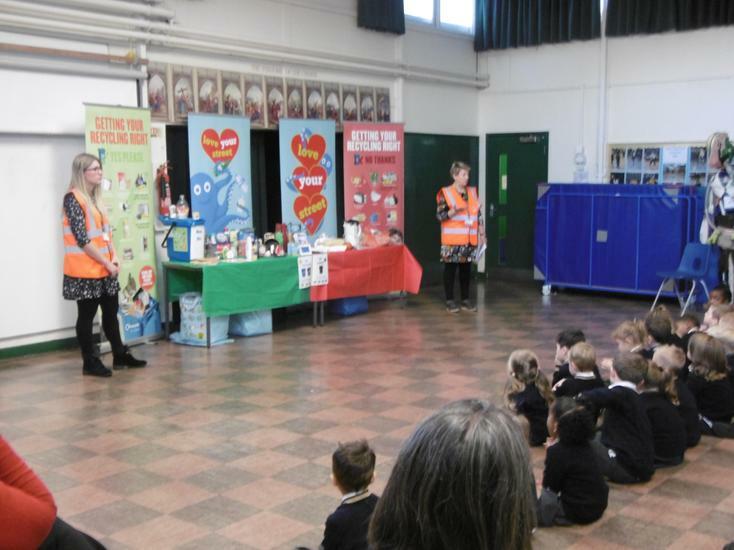 We all listened to a very interesting assembly led by Emma and Glynis from Ipswich Borough Council. 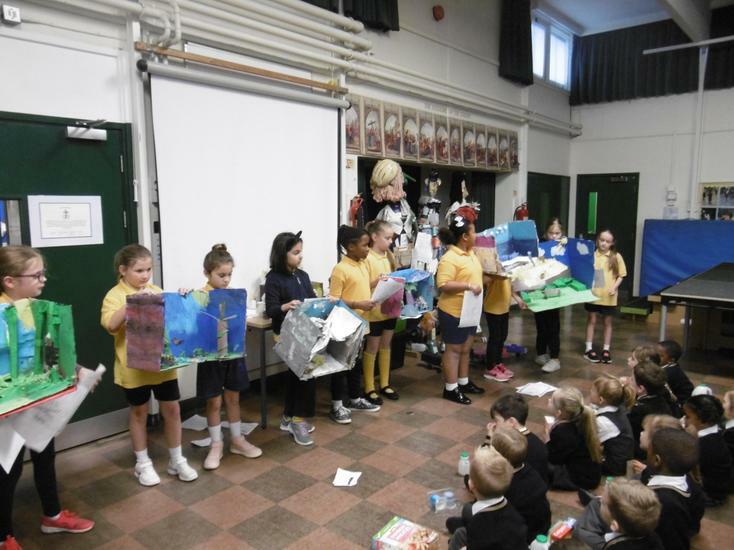 They told us about what we can and cannot recycle in our blue bins, as well as the ways to recycle electrical items, glass and textiles using recycling banks. 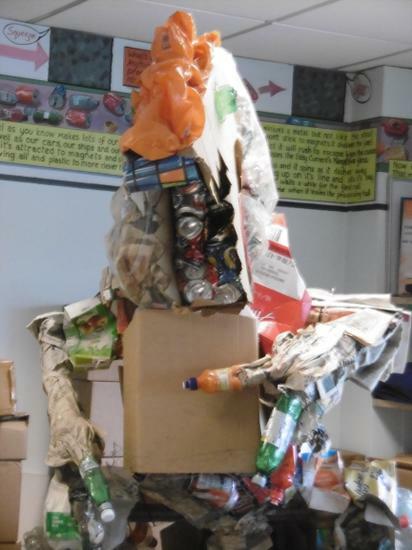 We were all stunned to learn that during the year 2017-2018 every household in Ipswich produced over 500kg of rubbish (the same weight as 3 adult male gorillas!) 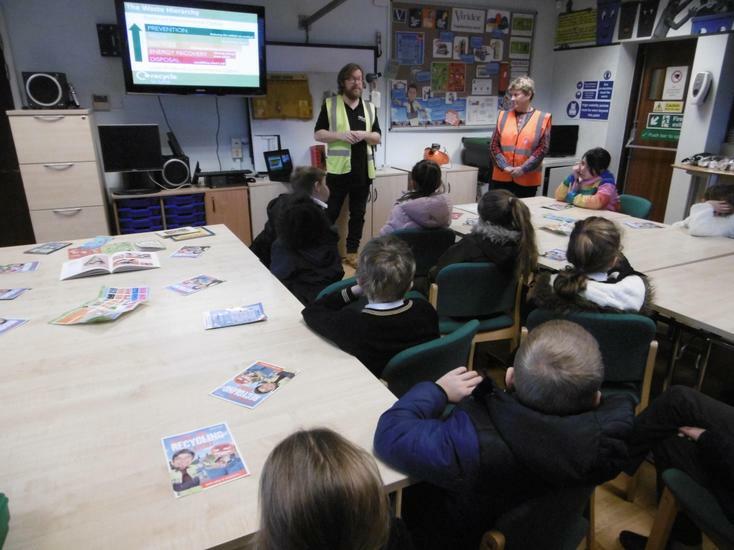 with Ipswich as a whole producing over 30,000 tons of rubbish. 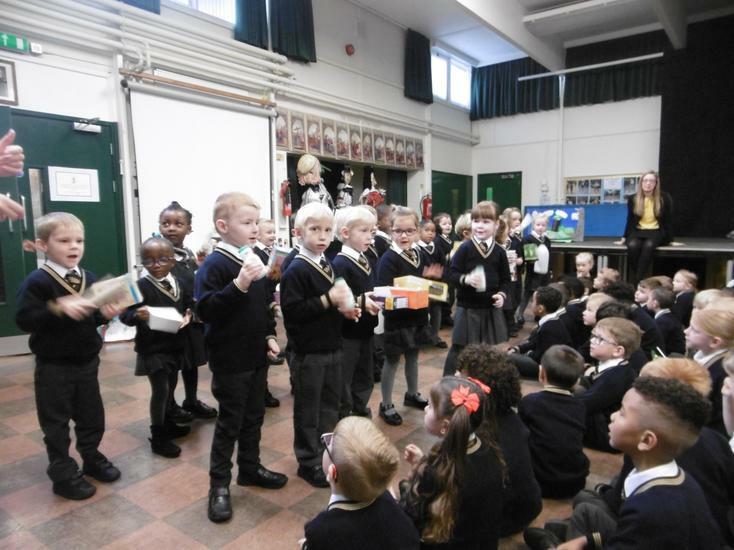 We have all got to work together to reduce the amount of rubbish we place in our black bins and try to reuse, reduce and recycle as much as we can. 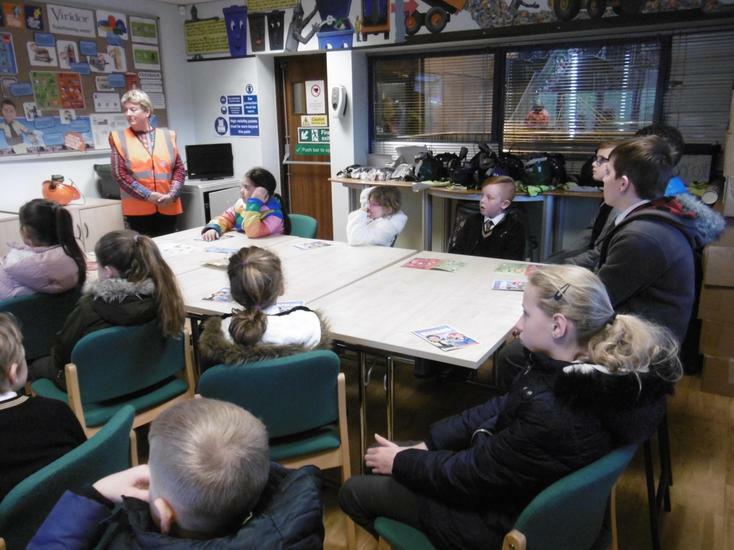 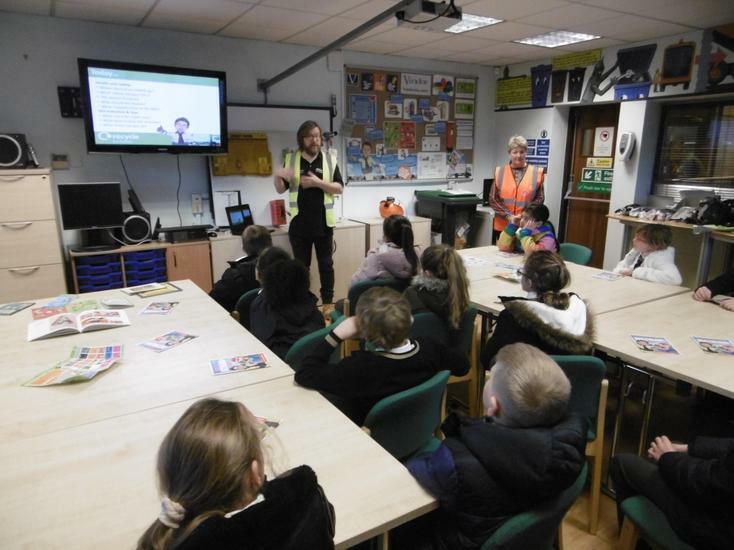 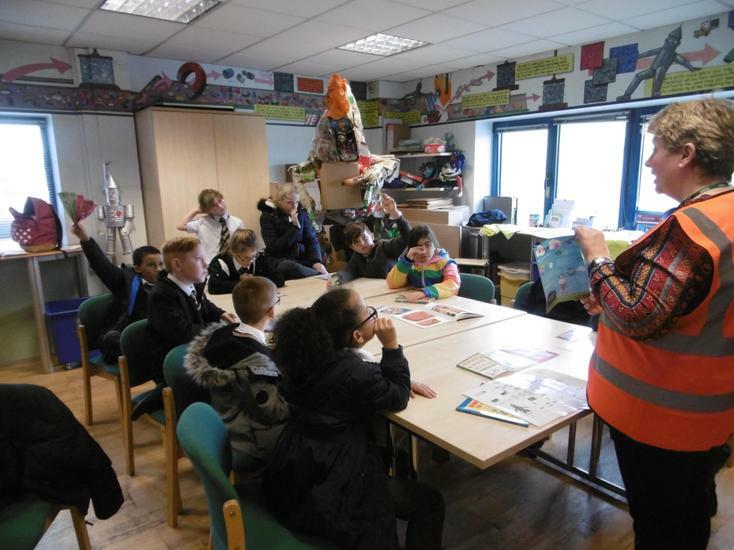 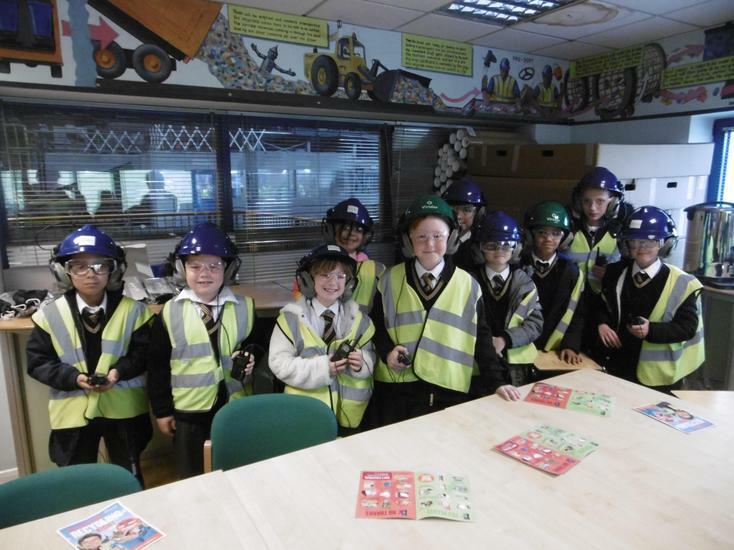 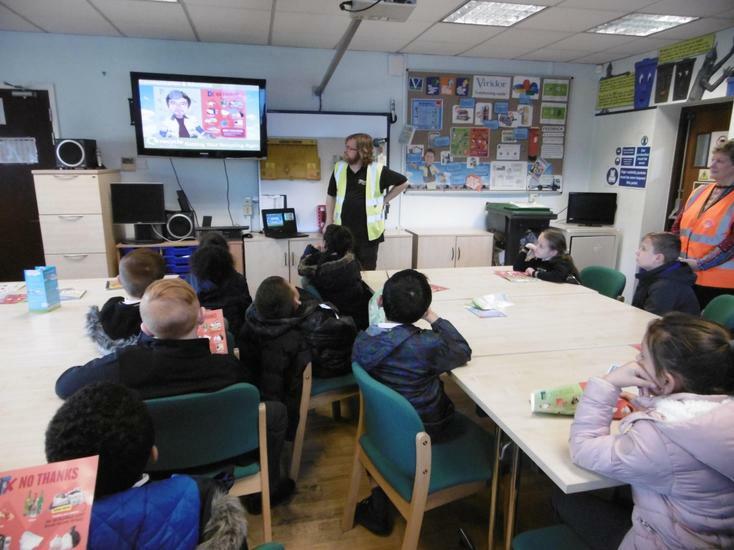 20 Key Stage 2 pupils, including our Green Team members, joined Mrs Smith, Ms Abbott, Mrs Catania and Mrs Hare on a visit to the Materials Recycling Facility at Great Blakenham. 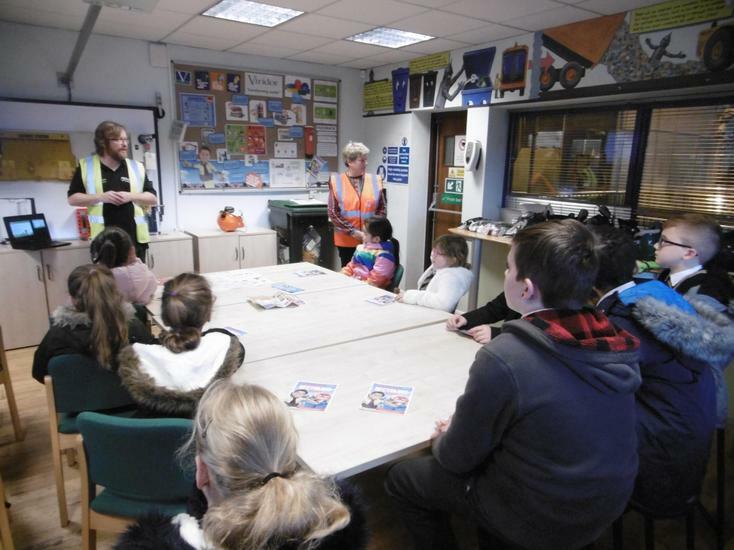 The facility is run by Viridor and sorts the rubbish placed in household blue bins and business recycling bins from the whole of Suffolk and parts of Essex. 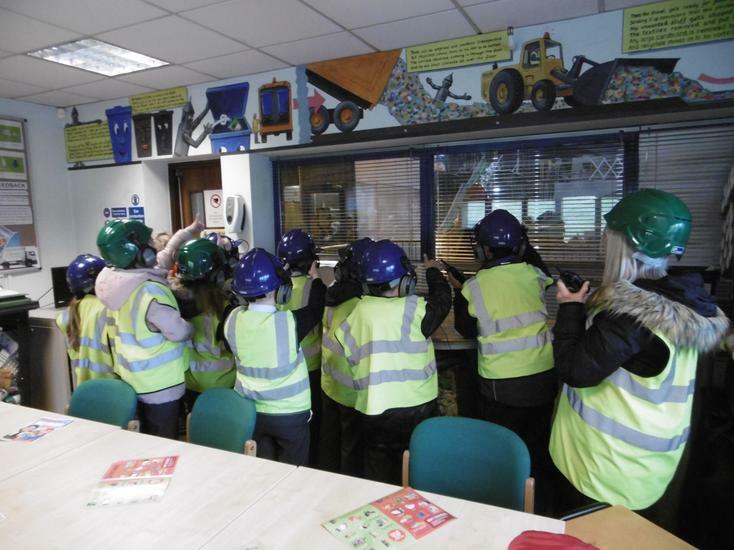 They process a total of 45,000 tons of rubbish a year, with 15 tons of rubbish arriving at the site every hour. 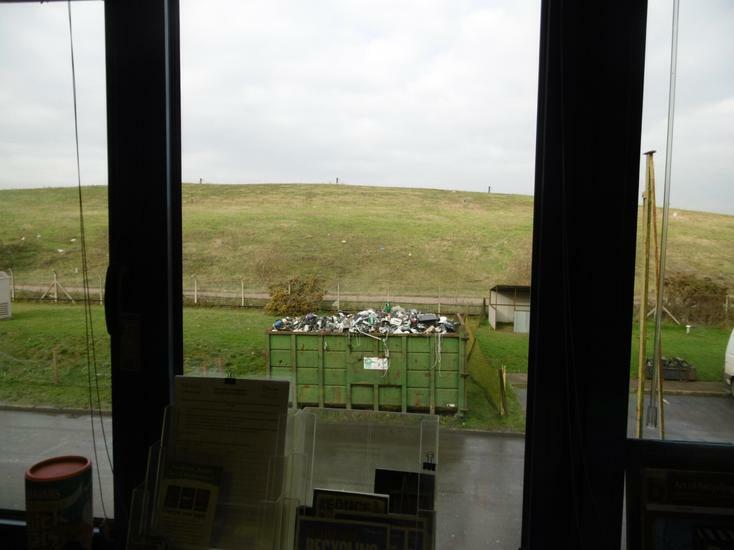 They operate between 6am and midnight, with both machines and people hand sorting the rubbish in order for it to be sent to be made into new things. 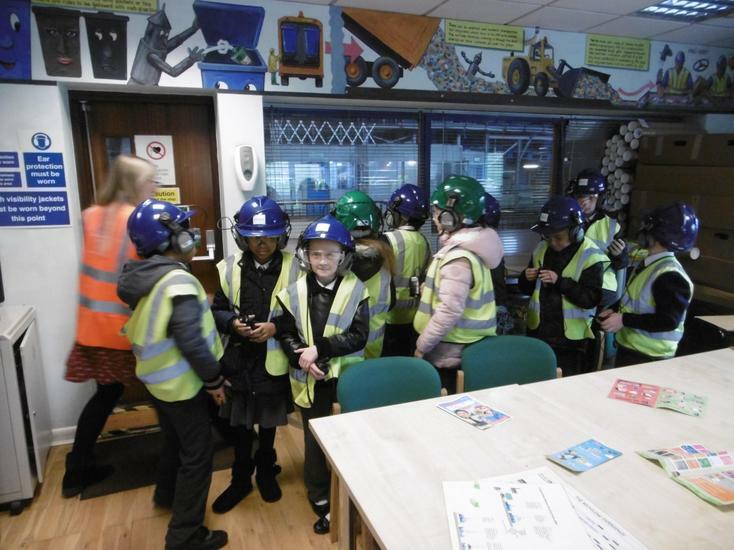 The process of sorting the rubbish begins in the reception hall, where we saw huge grabbers placing the rubbish onto conveyor belts and taking it to the pre-sorting cabin. 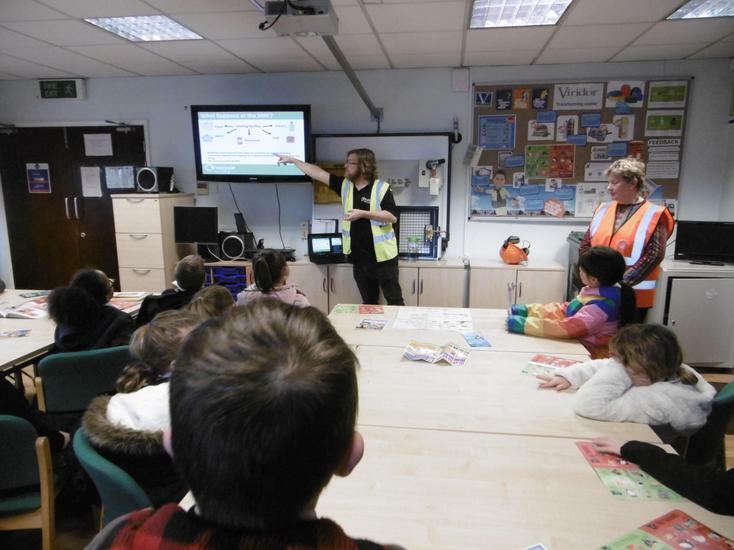 Here the rubbish is hand-sorted to remove large cardboard, large pieces of plastic, large metal objects and anything that could damage the machines or hurt the workers (and the 1,500 a day dirty nappies that are sadly placed in blue bins). 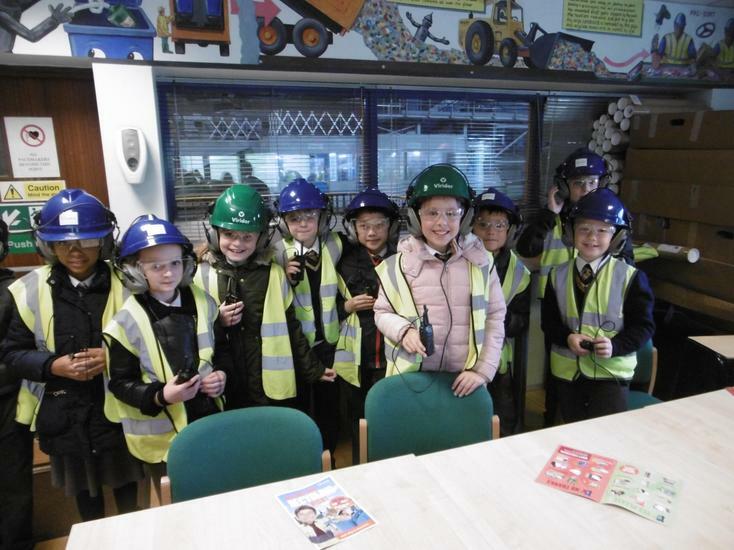 The workers here can pick up to 40 to 50 items every minute! 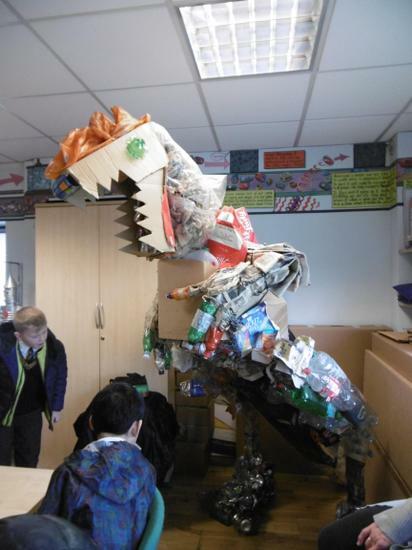 Next the rubbish goes through the tromel, which has 2 rotating drums, sorting it by size. 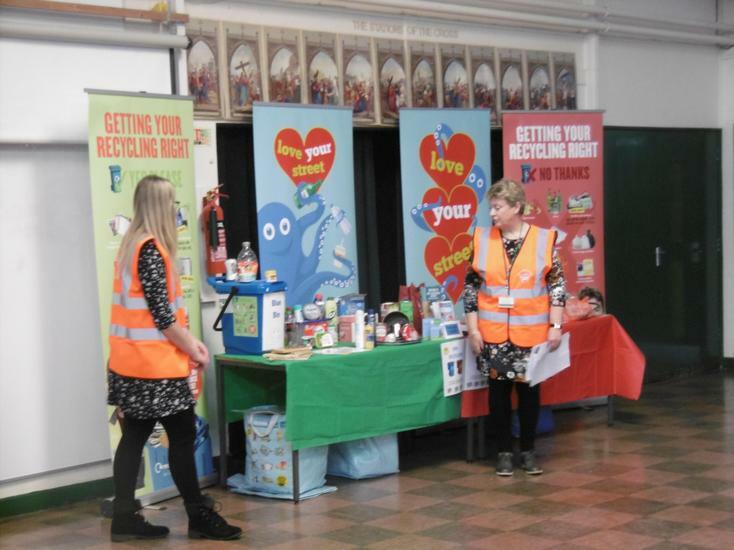 Any items smaller than 4cm fall through the drums and unfortunately are then sent to The Energy from Waste facility, where non-recyclable rubbish is incinerated. 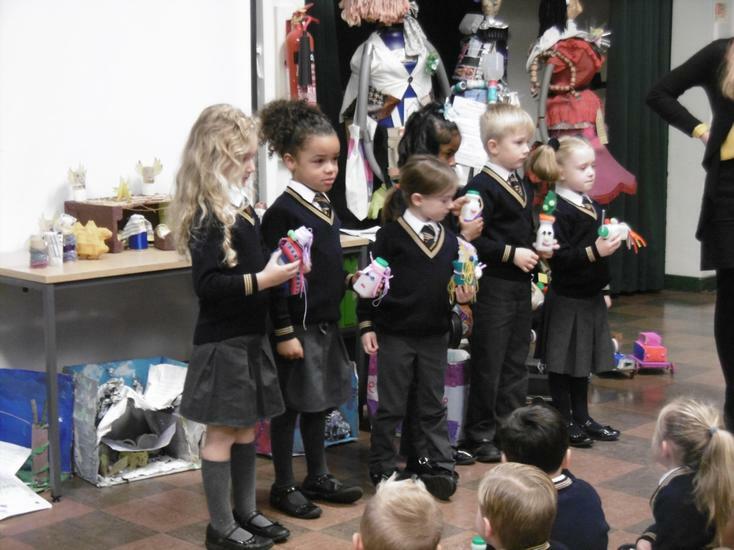 We found out it is therefore important to place items such as lids back onto squashed bottles, otherwise they will not be recycled. 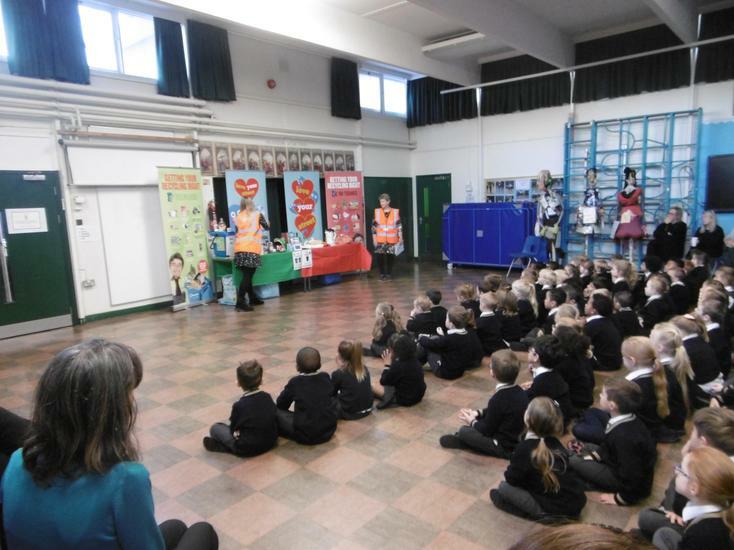 The ballistic machine separates the flat and round rubbish next, with huge magnets picking off any metal and aluminium items. 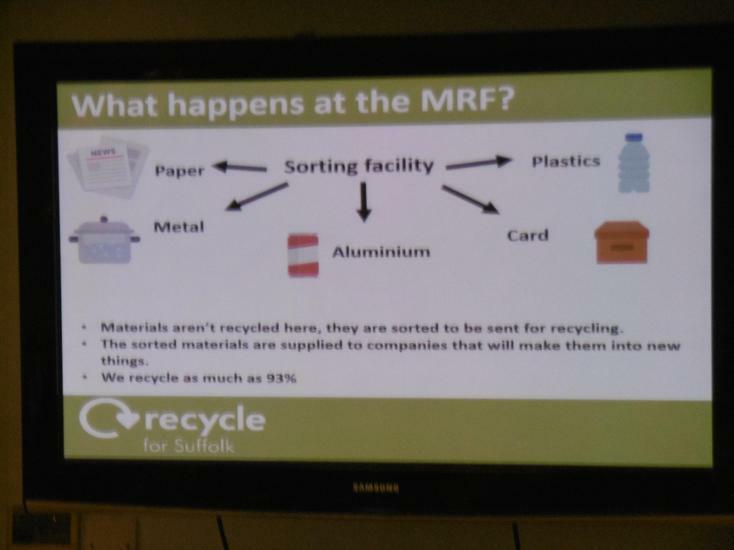 Finally the optical sorter uses infra-red rays to sort the remaining plastic and paper, with giant fans blowing the paper onto a different conveyor belt. 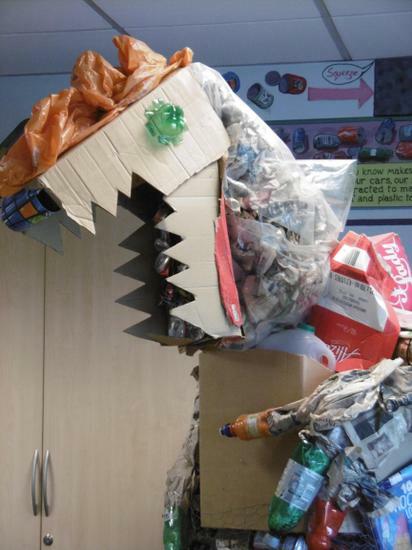 By the end of the process metal, aluminium, plastic and paper has been sorted and is squashed and baled to be sent to different factories around the country to be used to make new materials or items. 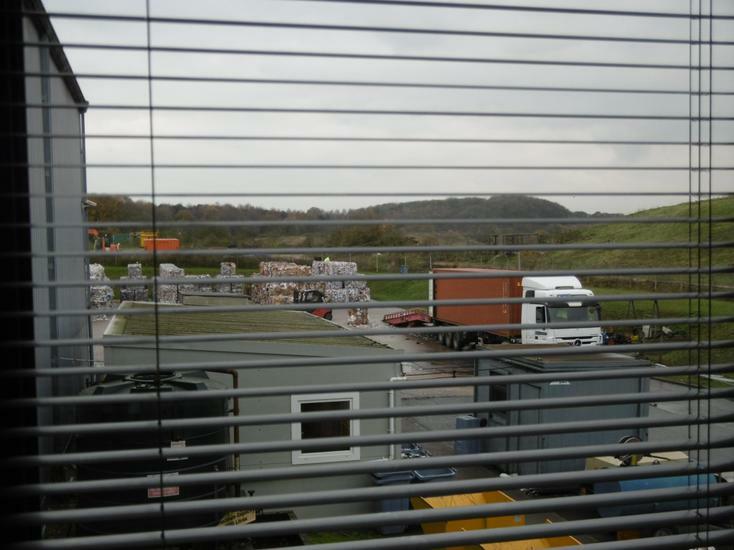 They are also shipped abroad, as far away as China, to be used as raw materials. 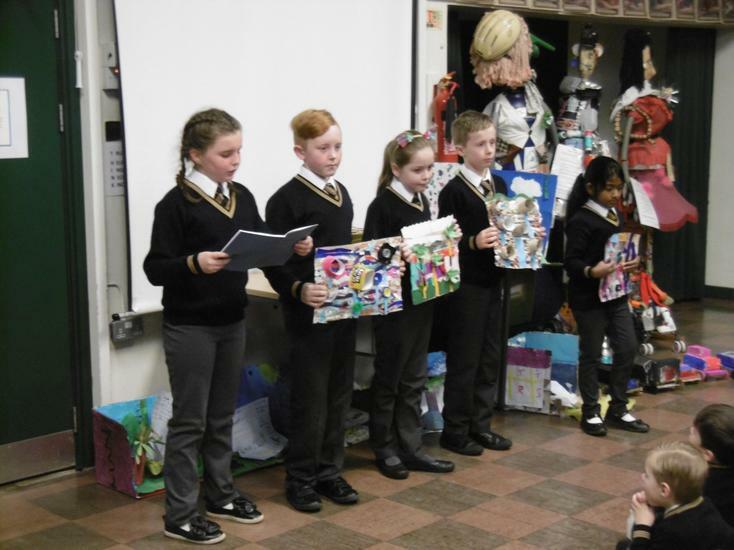 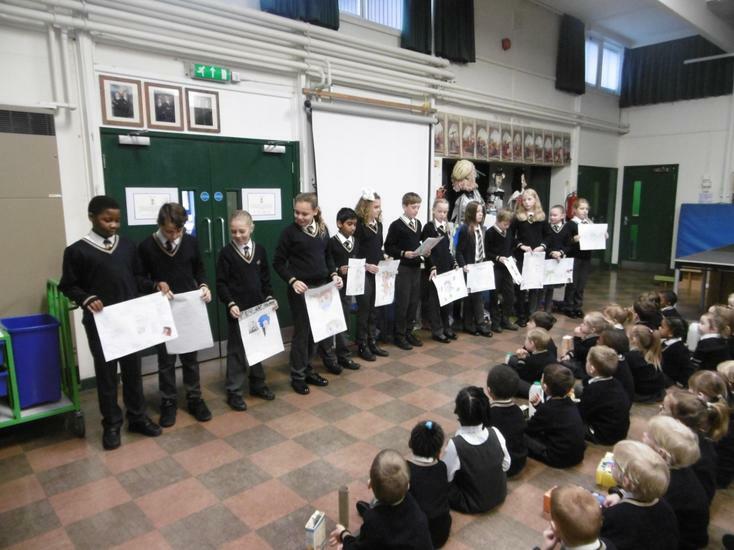 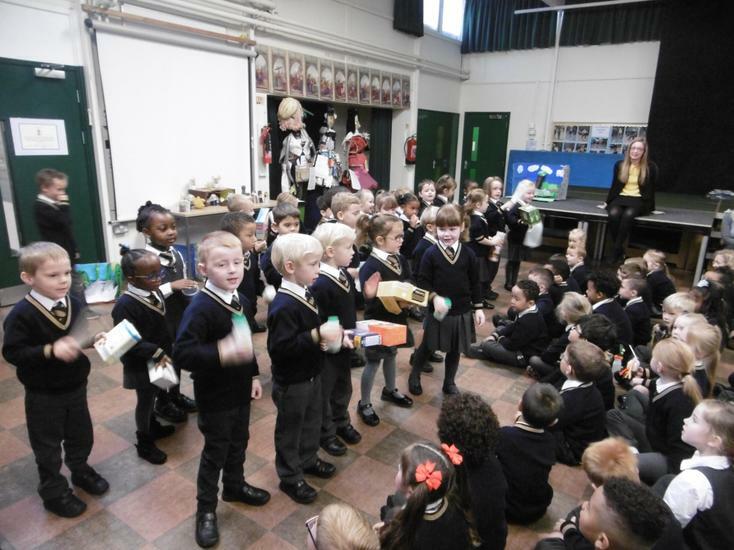 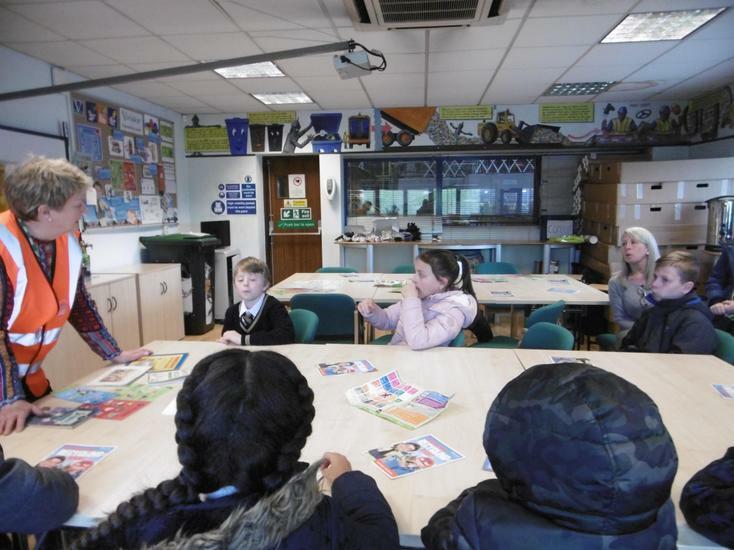 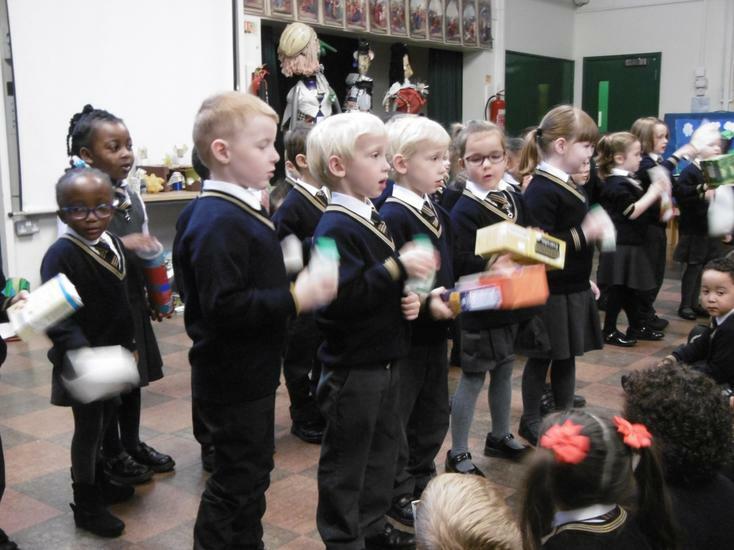 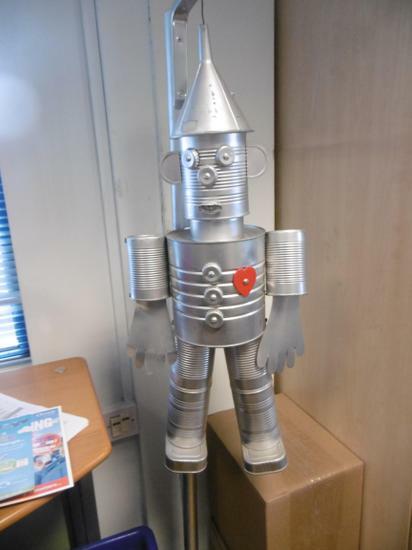 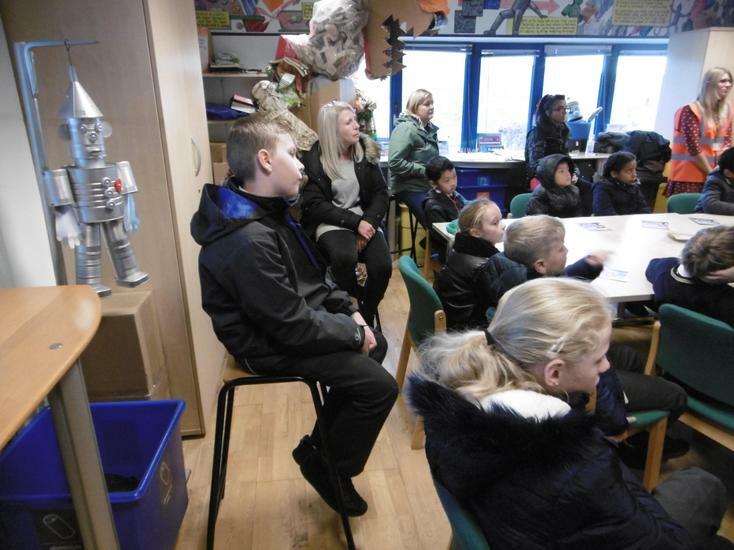 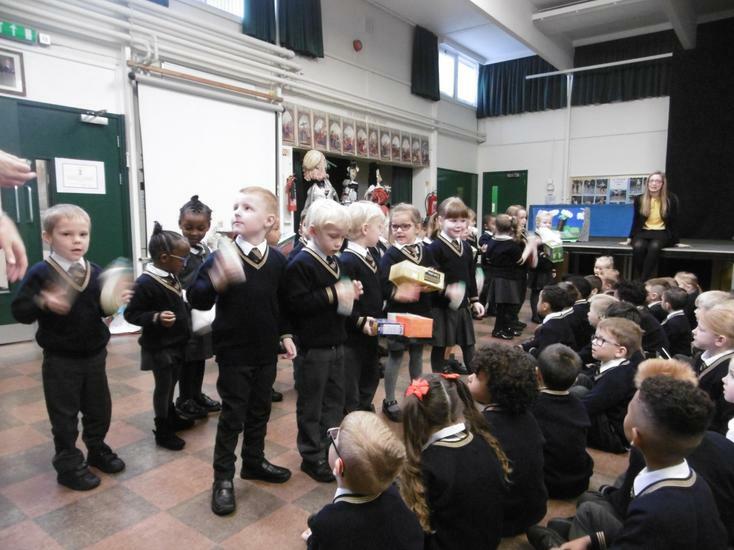 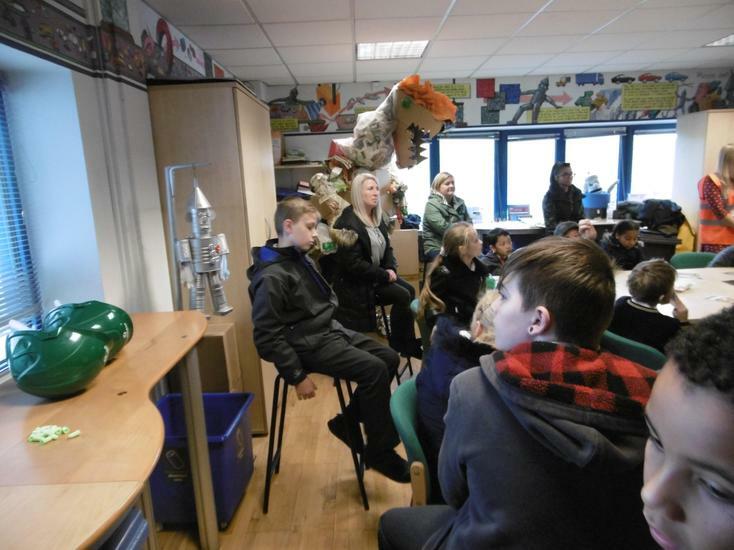 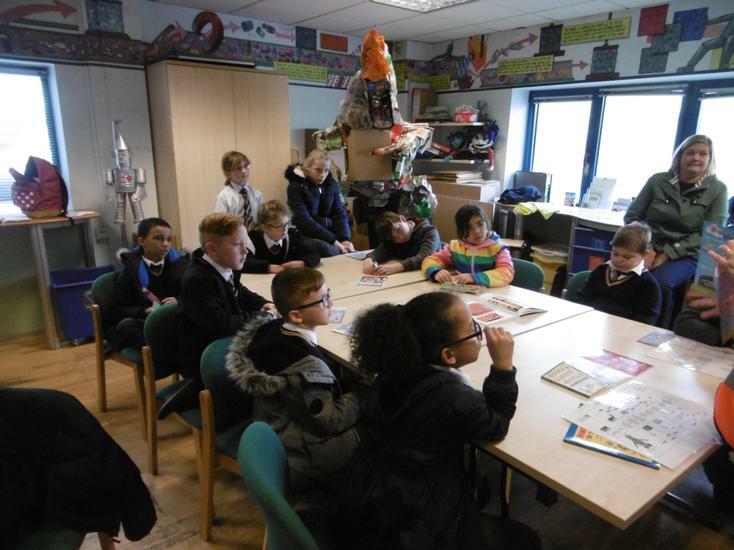 We found out that recycled metal cans can be made into aeroplanes, recycled plastic can be made into plastic chairs, new bottles and even fleece jumpers, and recycled paper can be made into new paper and housing insulation, helping to save energy. 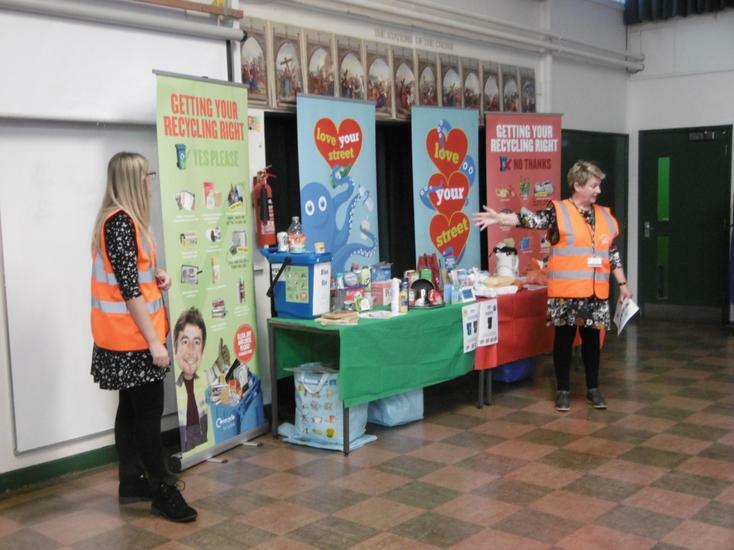 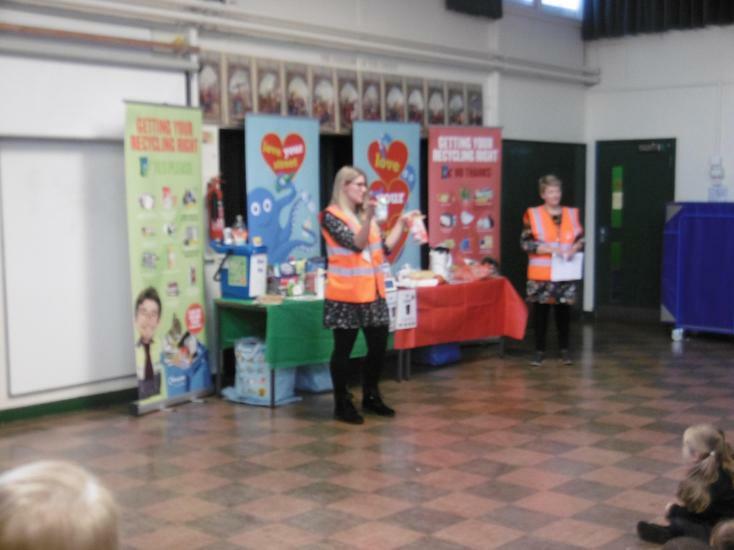 They also explained that even though you cannot put glass, electrical items, batteries, food waste and shredded paper into your blue bin, they can be recycled at recycling collection banks or the household waste centres at Foxhall and in town. 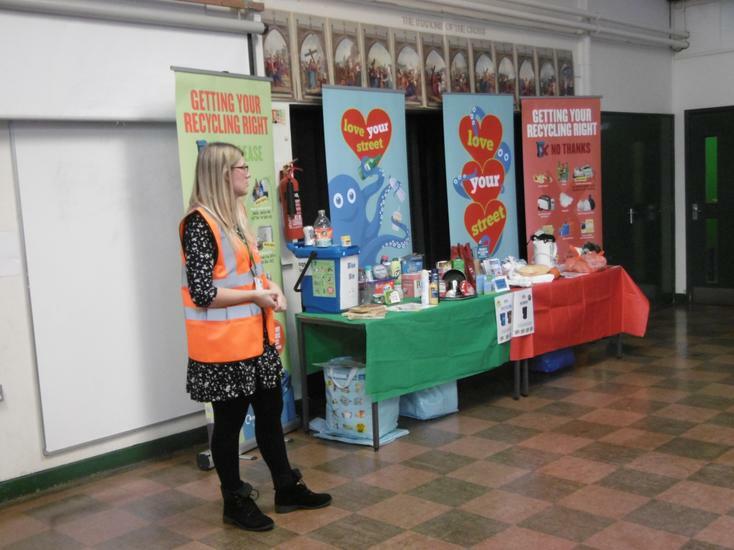 Take a look at the photos and find out more at www.suffolkrecycling.co.uk and by watching the video at the link below. 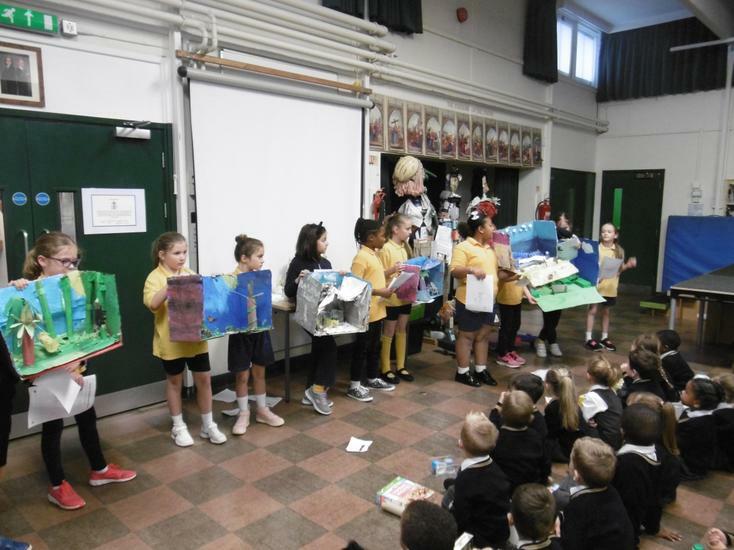 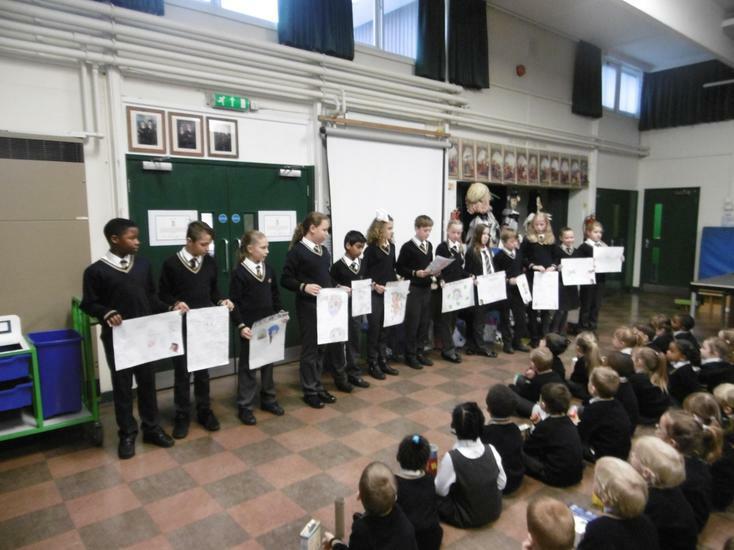 At the end of Green Week, we had a celebration assembly, looking at all the fantastic work completed within every class. 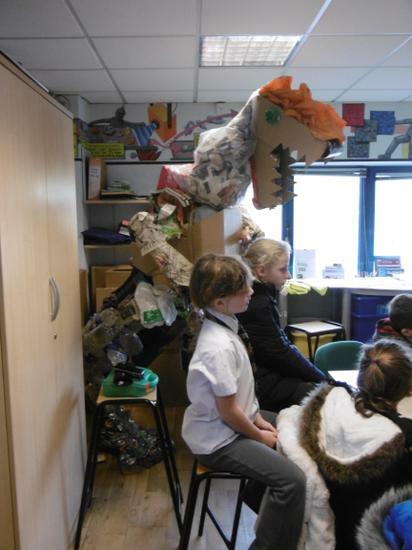 We will also be displaying this work around the school!